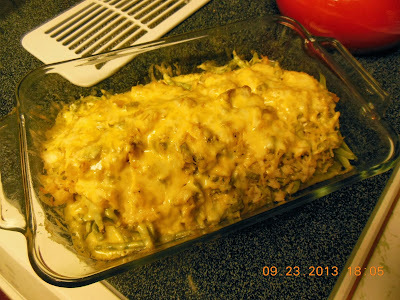 Green Bean Chicken Divan - Our Sunday Cafe, the Retirement Edition! But the whole "when life gives you lemons, make lemonade" mentality is but a shifting of gears and in the process, a delicious dinner was created. This is also a basic lesson in the combining of leftovers, and getting a whole new meal out of them in the process! When I looked into the refrigerator what I had was some leftover roasted chicken, some leftover rice and green beans from the garden. Separately not one of these is a star, but together they are a shining example of how to assemble a dinner. 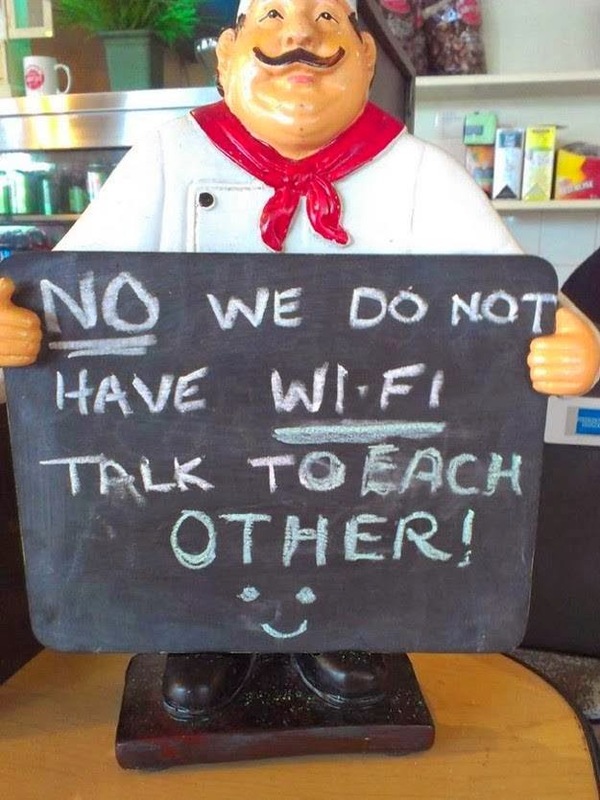 Otherwise know as, cook with what you have. Chicken Divan according to Wikipedia, is a chicken casserole invented at and named for the by-gone Divan Parisian Restaurant in the New York's Chatham Hotel. In addition, in France, the word divan refers to a meeting place or great hall. Honestly, the only connection to the Green Bean Divan we enjoyed and the original signature dish, was a meeting of flavors. Place green beans in the bottom of a 2 qt dish. Sprinkle with 1 T of the bone stock, cover and place in the oven to steam while preparing other ingredients.10 minutes, or so will warm and begin steaming the beans. Heat the stock, season to taste with garlic salt, thyme, and fresh ground pepper. Add the rice, mayonnaise and Parmesan cheese. This will look more like a rice sauce, do not panic! 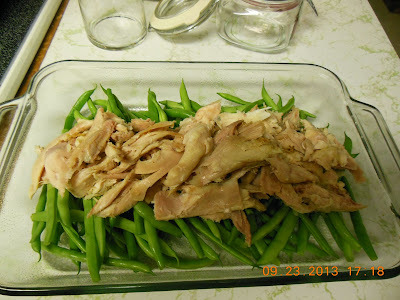 Remove beans from the oven, down the center of the beans, layer the chicken. 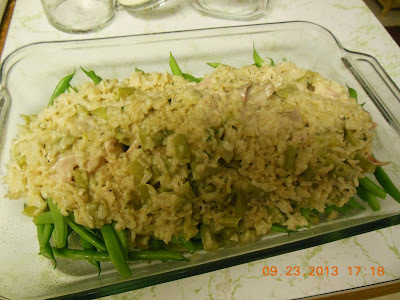 Pour the rice over the chicken, covering the chicken evenly with the rice. 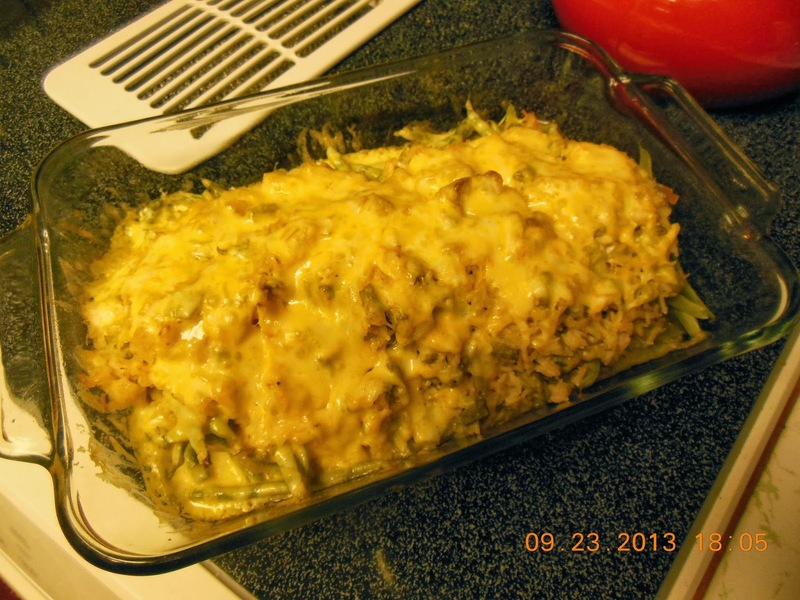 Bake 30 minutes, sprinkle with the shredded cheese, bake 15 minutes more. 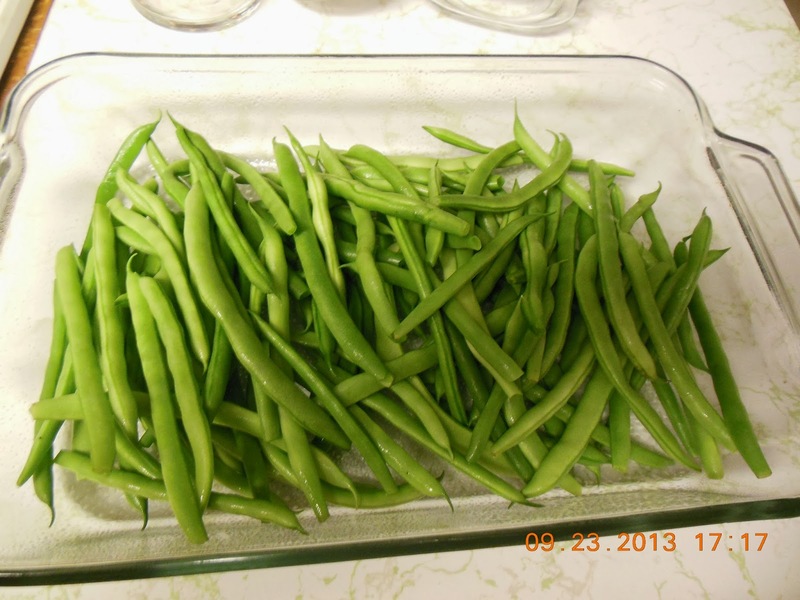 9x13 dish, place Kielbasa or other sausages, quartered red potatoes, sliced onion, green beans. Add about 1/2 cup water, salt and pepper to taste, and top with a drizzle of oil/and or butter. Cover with foil and bake at 400 for about 40 minutes. 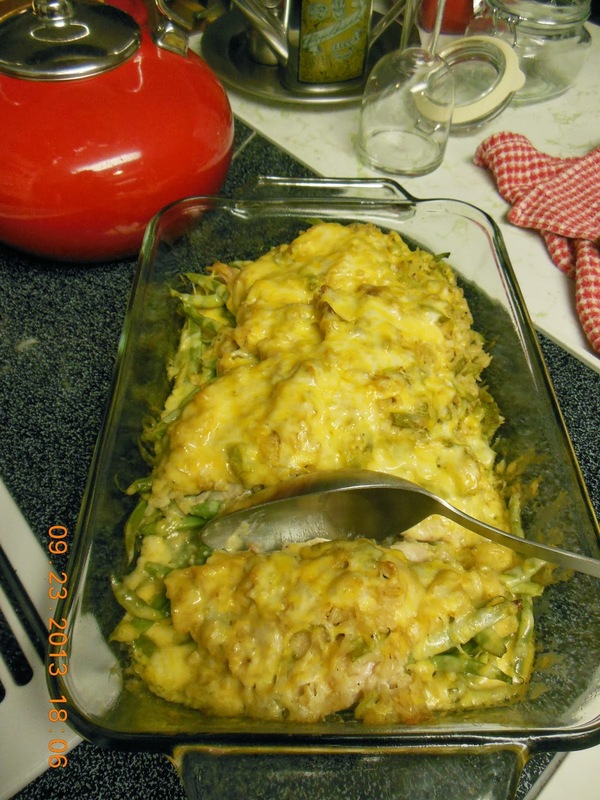 Easy, delicious supper.